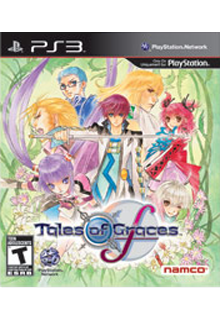 VIDEOGAMESPLUS.CA: TALES OF GRACES PS3 NOW SHIPPING! Great News! We have received our shipment of Tales of Graces f - PS3 (Street Date Policy In Effect) (In stock usually ships within 24hrs) and have now begun shipping pre-orders. This to have customers receive game on or as close to street date as possible. (Strict street date shipping policy in effect) If your parcel takes more than 2 business days to arrive it will ship today, if it takes more than 1 it will ship tomorrow and if it takes 1 business day it will ship on Monday. In-store preorder pickups will be available on Tuesday Mar 13, 2012 which is the official street date. (NO EXCEPTIONS ON THIS PICKUP POLICY). any rough estimate on when this game would reach new zealand?